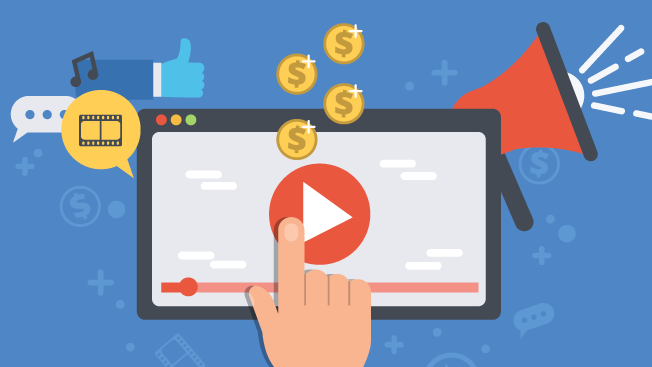 View count alone will not tell a marketer if their video is resonating with audiences. For advertisers, consumers have become a moving target. Literally. Our society is more mobile, active and urban than ever before. Higher skilled workers are moving to urban areas, as are many corporations like GE, McDonald's, Google and Facebook. Consumers now spend 70 percent of their time out of their homes, according to Kinetic USA. Millennials are dining out more often than their parents ever did, and the Internet of Things lets us stay connected to home and media from anywhere. So, it comes as no surprise that the impact of video advertising in the home is on the decline. The audience for ad-supported television is both shrinking and fragmenting—not a great recipe for marketers. According to Nielsen, traditional television viewing has been decreasing steadily year-by-year across the majority of demographics. Even NFL football, the mainstay of television ratings, is down a whopping 10 percent this year. Similarly, time spent on desktops is down 12 percent since 2013 as ad blocking, fraud, viewability and clutter have become issues of great concern. Notwithstanding these trends, one thing that hasn't changed: Video remains the most powerful form of messaging for brands. Therefore, media planners are seeking how best to recapture the in-home video impressions that have been lost. According to Nielsen, consumers are spending almost four hours a day viewing screens that aren't TVs. In the digital place-based (DPB) and digital out-of-home (DOOH) media world, we have a key element of the video impression solution in the eyes of media planners. In the Digital Place Based Advertising Association's 2016 survey of media planners, 61 percent of respondents said they included DPB/DOOH in their media plans, exceeding the 50 percent mark for the first time in the eight-year history of the survey. At the same time, the outlook for future DPB/DOOH spending growth is bright, with 94 percent of planners indicating spend will be the same or greater over the next three years. One big reason for such success and prospects for continued growth lies in DPB/DOOH's powerful relationship with mobile. It's the only segment not threatened by mobile. In fact, both media activate and enhance each other. Together, they offer data maximization, customer impression targeting, multiscreen retargeting, consumers on the path to purchase, geofencing and attribution. Enhancing this DPB-mobile connection are companies like Intel, Bulzi, SITO Mobile, Ayuda, Vistar Media, xAd, Broadsign (combining automation and data) and others that are identifying consumers in anonymous and aggregated fashion through mobile IDs and leveraging the data to serve addressable advertising. Brands are showing ads to consumers on screens in movie theaters (Screenvision), office buildings (Captivate), shopping malls (Adspace), gyms (Zoom), transit and other consumer hubs (Clear Channel, Outfront), restaurants (AMI), taxis (Verifone), city venues (Intersection) and gas stations, and are the retargeting those same consumers via smartphones. Dan Levi, evp and CMO of Clear Channel Outdoor, indicates said the company is deploying mobile in a big way as its Radar product fuses mobile location data enabling advertisers to effectively plan and buy targeted audience impressions. Writing in The Huffington Post recently, Andy Sriubas, evp of Outfront Media, opined that location data is "the new gold rush, driving depth of information." Or as John Costello, CMO of Dunkin' Donuts, noted at xAd's On Location event, "We've always known that location was powerful. Now it is actionable!" Or, Andreas Soupliotis, CEO of Ayuda Media Systems, has put it: "Location has become the new cookie." At a recent Advertising Week session, Mike Gamaroff, svp, SITO Mobile, echoed and elaborated: "It's best not to underestimate what location data means and its value. Location is a new audience insight. It's granular and a major disrupter." 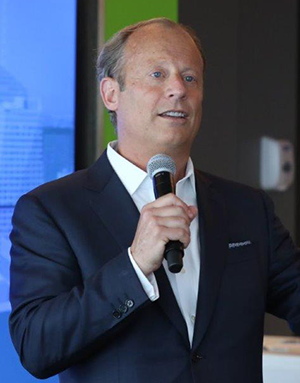 The mobile-DOOH connection is among many on the agenda at the DPAA's ninth annual Video Everywhere Summit in New York on Oct. 27. The Summit is the largest one-day event dedicated to multiscreen engagement, attended by brands, agencies, media, ad-tech companies, mobile companies, location data groups, and, of course, the digital out-of-home industry. There is no single solution to the video impression dilemma, but it's very clear that digital out of home, in tandem with mobile is a significant part of the answer and will increase in importance over the next several years. Barry Frey is president & CEO of the Digital Place Based Advertising Association. He can be reached at barry.frey@dp-aa.org and followed on Twitter: @barryfrey.